Egypt is not Lebanon. Though the political transition leads increasingly to polarization and bouts of violence, almost no one seriously warns of a fate resembling Lebanon in the 1970-80s. Lebanon is a conglomeration of religious sects concentrated in distinct geographical areas and topographical terrain. Egypt is one people, with Muslims and Christians interspersed everywhere along the flatbed of the Nile. 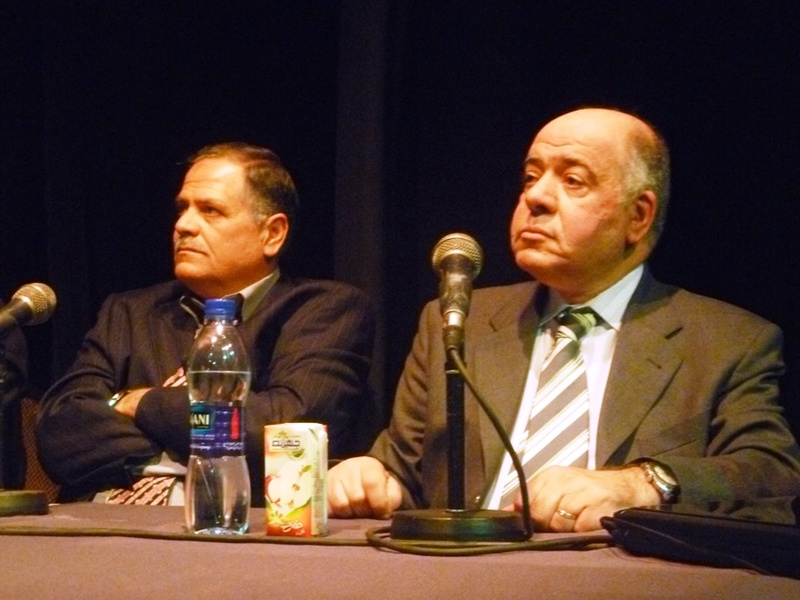 Even so, former combatants from Lebanon’s civil war – now reconciled – are very concerned. Muhi al-Din Shihab was a leader in one of the Sunni militias, while Assaad Chaftari was the number two man in the Falange, a Christian militia. “I went to see the Christian quarters and saw the results of the violence,” he said. “I had seen them as the enemy, as conspirers with Israel and sons of the Crusaders. “But I was surprised to see how ignorant I was. Most of them were opposed to Israel. They were not wealthier than we were; they were not semi-French. They were Arabs just like we were. “Our civil war was built on the prejudicial thoughts each one had toward the other,” Shaftarī said. “We thought Lebanon was ours because the French gave it to us, while they thought of Lebanon only as a transitory country until the Muslim ummah is established. “Eventually I looked in the mirror and stopped seeing myself as good and perfect. “I deliberately created spins and lies, especially filtering the data about our enemies,” he said. “I disregarded what did not help my cause and accepted, amplified, and spread data that confirmed my political vision of the others. I did this because I believed it was necessary to create fear of the other. Obviously, someone is lying. It is not the point here to determine the guiltiest party – there is testimony and video evidence aplenty on the internet. But like in Lebanon, locked in desperate political struggle, parties play fast and loose with the truth to support their objectives. It is an all too common human characteristic. May God bring all guilty parties to account, but then, as in Lebanon with Shihab and Chaftari, to reconciliation. Lebanon has yet to fully recover, and Egypt is yet nowhere near its example. The parallel, however, is worrisome. Please click here to read the full article on Arab West Report. Thank you for the post. It gives hope!